The Bill and Melinda Gates Foundation is committed to improving people's lives across the globe, but mostly in regions where it's most needed to eradicate poverty. 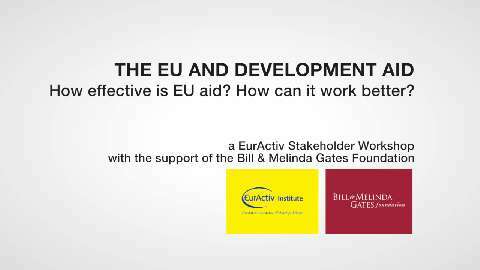 In Europe specifically the foundation is seeking partnerships with governments, civil society, and media. What we're trying to achieve here is really build long lasting relationships in order to improve the quality and quantity of aid spending. But also make sure that development stays high on the agenda.